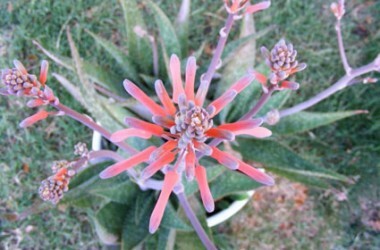 "Christmas Candles" From wide fleshy rosettes arise spikes with large coral-red tubular flowers mid-winter. 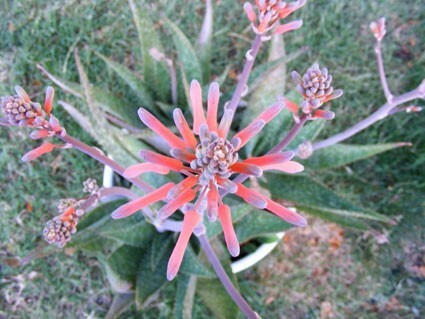 Handsome. 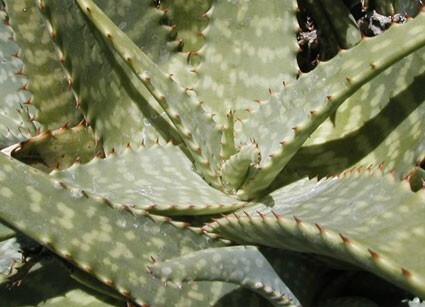 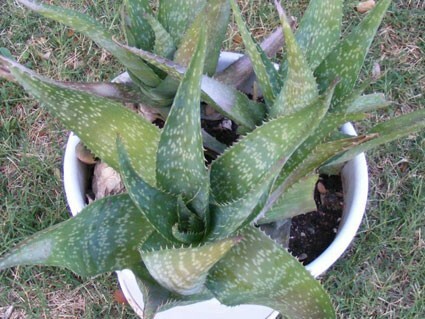 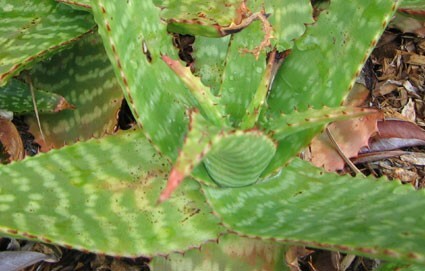 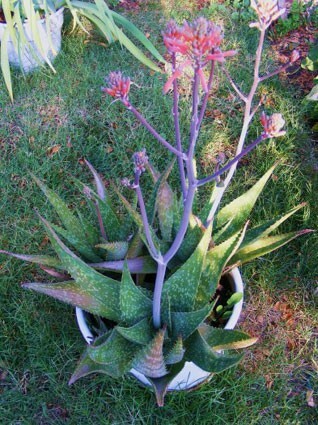 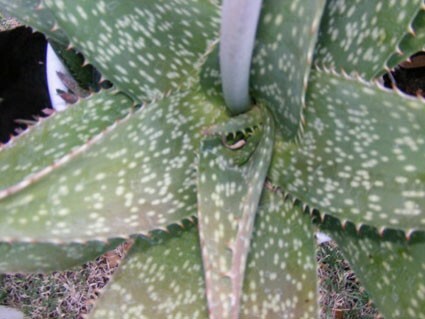 Called "Soap Aloe" to indicate the practical use of the richly sappy succulent leaves.